Find out the latest from our Desktop Metal specialist as the Studio System gets ready to ship to the UK. Desktop Metal are one of the worlds leading additive manufacturing start ups, and having been founded in 2015, they are already well known across the continents for their office-friendly 3D metal printers. 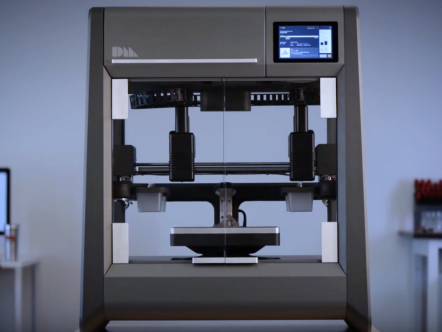 Since becoming Desktop Metal platinum partners in 2017, our team have received a fantastic amount of interest in the Desktop Metal Studio + system and are pleased to announce Desktop Metal are planning to begin shipping orders from May. In light of this, we’ve caught up with our Desktop Metal sales specialist, Colin Cater, to get the latest on all things Desktop Metal. What kind of companies have got their orders in for a Studio System? We have a good blend of educational, research and engineering companies, who have shown and paid for systems, those who can see the benefit of an office based metal 3D printing capability that long term will offer a safe, easy to use system, with potential for a wide range of materials. You have been in the metal industry for quite a few years, why do you think Desktop Metal are disrupting the market so much? 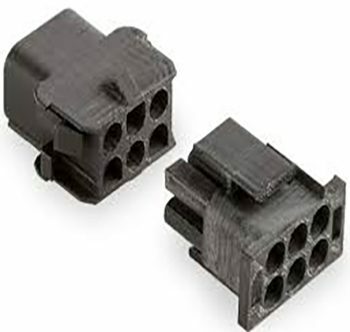 In recent years the interest in metal AM, is moving towards production of parts on a much larger scale, taking advantage of the unique benefits of AM designed parts. Desktop Metal are focused on the delivery of a complete system, when it could have been easier to supply partial systems. This to me sets Desktop Metal apart, they take the best route, not the easiest one, taking on the challenges to redefine and develop products that either don’t exist or those that do are not suited to the overall success of how Desktop Metal want to evolve and offer a customer completed solution. The option to offer two very different technologies, and target customers, with both the Studio+ system and the Production system to me again offers some challenging and exciting changes in how AM will be used in the future. 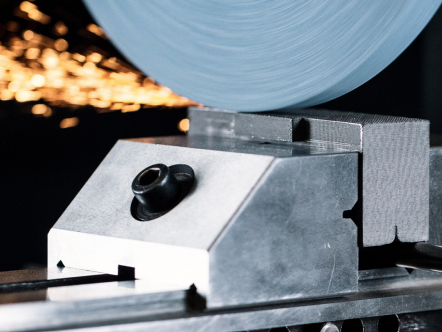 The Production system is set to disrupt conventional mass manufacturing, targeting: subtractive, MIM, and casting technologies, while exploiting all the major benefits of AM designed parts, the Studio+ sits nicely into the product development arena. 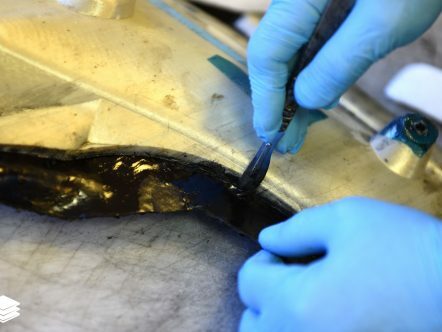 We see changes to how software is used to enable light weight designs, assemblies now made as one, Generative designs, and a reduction in part costs that have been a barrier to AM adoption, Desktop Metal offer with both systems a roadmap to enable AM to be a considerable manufacturing solution of the future. Materials have always been an area where for a number of reasons – range, safety, quality, reuse, and storage, are all concerns and again barriers to how AM can and would be used. This is again an area where Desktop Metal offer open source materials, where needed, and material developments when requested. Are they any new developments coming up that you are allowed to tell us about? Desktop Metal have an ethos to challenge their internal teams to look at any aspect that can contribute to other processes. This is seen clearly with the Live parts software, which ultimately will benefit all those in Design, linking directly into Solidworks for example to further progress the adoption of AM, and not specific to Desktop Metal systems. I cannot give specific details on projects or processes, we are a reseller, not involved directly, we just see and hear from Desktop Metal, a culture to nurture talent and ideas, for the greater benefit of AM, which sometimes ends with new products. Sometimes not. Where can the UK market see a live working Studio system? As a reseller we are committed to offering a service to customers interested in Desktop Metal, from demonstrations, bureau work, and customer benchmarks, this we expect to start in the very near future. 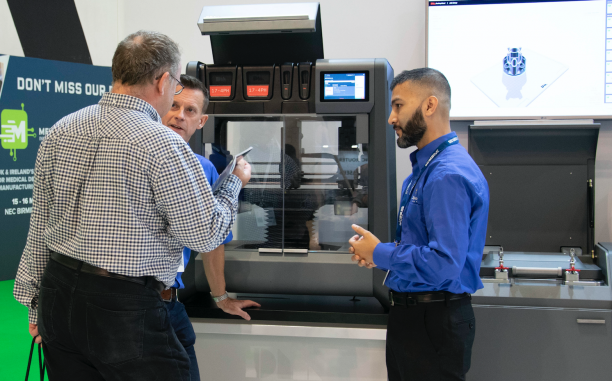 We will be exhibiting at the forthcoming Additive International Conference at the Belfry 9th – 11thJuly 2019, so please register and come see us on the Tri-Tech 3D stand, and see the Desktop Metal system in operation. 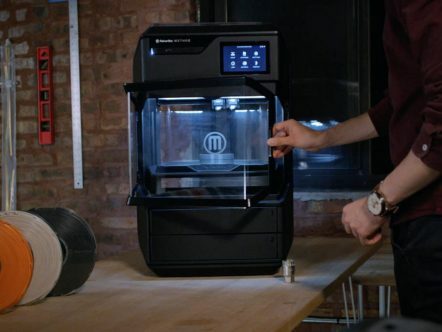 Your old 3D printer could be worth far more than you think! The Desktop Metal Studio System™. Designed as an end-to-end solution.